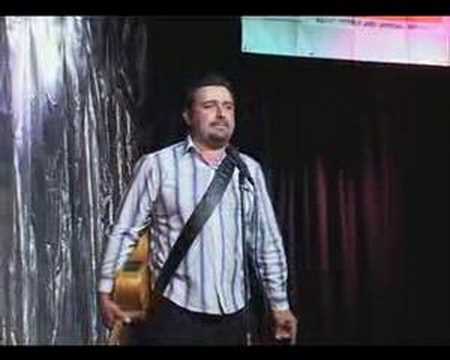 From 2000 to 2006, Gabriel went on tour with Italo-Australian comic sensation Joe Avati where he visited not only every corner of Australia, but also accompanied Joe on his 3 tours of the UK. While Gabriel was there he also had a go at the mainstream British scene where he enjoyed a great reception, making Gabriel a truly global comedian. Gabriel can always be seen performing in his home-town Melbourne International Comedy Festival each year. One of Gabriel’s ongoing projects is his annual Christmas show in December which has been running since 2001 at Melbourne’s famous Comic’s Lounge. Each year he brings together the best available ethnic comedians to put on an extravaganza that always sells out. Apart from performing on the comedy circuit, Gabriel is also in high demand in the corporate scene and sportsman’s nights. His specialty in recent years has been his work as a master of ceremonies at weddings and other events. Gabriel not only enjoys performing to people of Italian and European heritage, but being Aussie born, he has no trouble relating to the rest of the Aussie population. With Italian heritage and being a proud Aussie as well, Gabriel sincerely has the best of both worlds with his comedy meaning no-one is really safe from his light-hearted and well-researched jibes. If you ever want to see him in action, he has a DVD called Reservoir Wogs which is available here at the online shop and if you live in Melbourne, he is a regular at The Comic’s Lounge.